New Delhi, Apr 16: 14 Lok Sabha constituencies will go to polls in Karnataka on April 18. In all Karnataka has 28 Lok Sabha constituencies and on Thursday, 12 constituencies in the old Mysore region will go to polls. Polling will also be held in the Shimoga and Davangere seats. The old Mysore region in particular will witness an interesting contest as this is considered to be a stronghold of the Congress and JD(S), which is fighting the elections together. Author Vicky NanjappaPosted on April 18, 2019 April 18, 2019 Categories PoliticsTags BJP, Congresss, JD(S), Karnataka, lack of alliance chemistry, Lok Sabha Elections 2019, Old Mysore, Oneindia, Vicky NanjappaLeave a comment on Will the BJP benefit from lack of alliance chemistry in Old Mysore region? Was the Madhya Pradesh election really a cliffhanger? 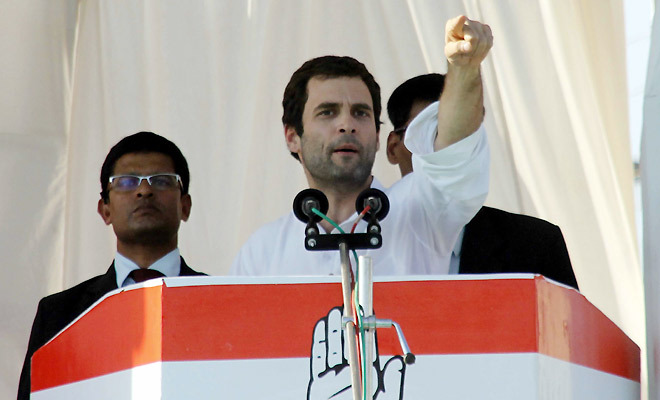 New Delhi, Dec 11: Was the Madhya Pradesh elections really a cliffhanger? Several news channels barring the regional ones said all day long that the MP elections were too close to call. The leads kept changing and at time it appeared as though the BJP would cross the magic mark comfortably. Author Vicky NanjappaPosted on December 12, 2018 December 13, 2018 Categories PoliticsTags Assembly Elections, BJP, Congresss, Madhya Pradesh, Oneindia, Vicky NanjappaLeave a comment on Was the Madhya Pradesh election really a cliffhanger? Rahul Gandhi who has addressed over 3 rallies in Karnataka ahead of the elections may have managed to change the fortunes of his party to an extent in the rural belts. However what he has failed to do is quell the rebellion within the Congress. Narendra Modi on the other hand addressed two major rallies in Bangalore and Mangalore. While the prospects of the BJP may not have changed in the entire state as a result of the two visits, it did have an impact in at least these two cities and the neighbouring areas, the BJP feels.